This is a very simple circuit, but make sure you build it Correct! 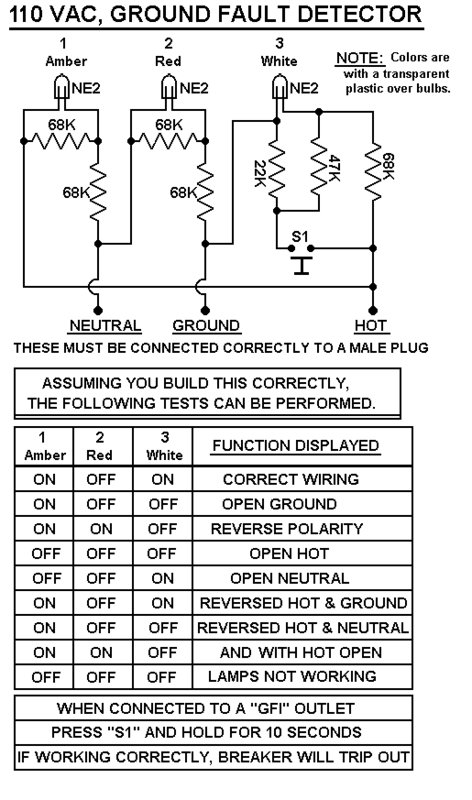 Correct Polarities to the plug! Dangerous voltages present, when in use! bulbs to show the colours needed, as indicated below. "Back to the HOME PAGE."